Andy tells us his fave games and plays some of his fave tunes. And big thanks to Phil (@last1up) for ANOTHER awesome cover art. Absolutely enjoyed the Codemasters games as a kid, and still do now. About Slicks, It’s like some kind of F1 racing game. I’ve never played it. 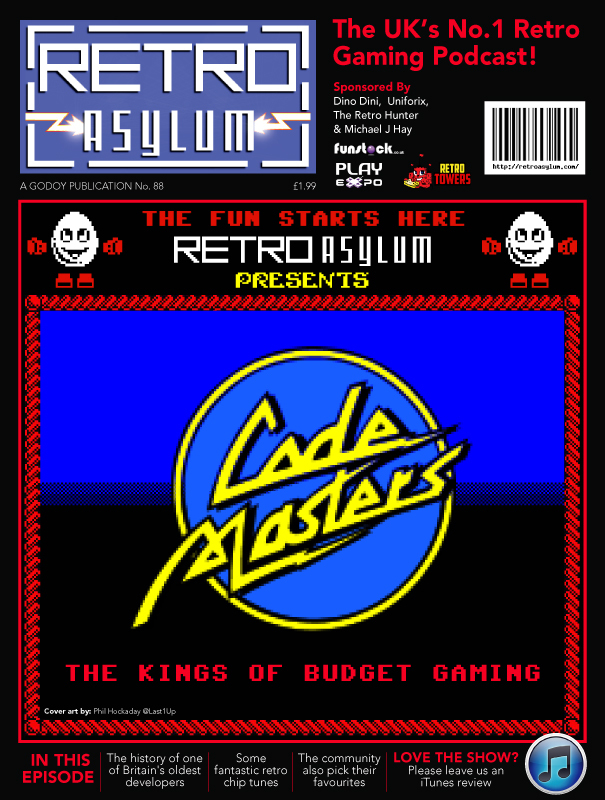 I had a copy of a C64 magazine which talked about the game. I owned most of what you mentioned on tape, I’m not big on Sport games but I had fond memories with games like ATV and BMX Simulator. Of course CJ, Seymour, Little Puff, Slightly Magic, Capt. Dynamo, Steg, Super Robin Hood, Grell & Falla and Micro Machines I enjoyed aswell as Dizzy. I can think of a few reasons why Dizzy started going downhill further down the line. Besides the Olivers leaving Codies around 1994, Codemasters didn’t release any games on SNES which I guess had something to do with the court case with Nintendo. The Micro Machines games on SNES got published by Ocean. Codies did manage to sneak their logo on Micro Machines 2. It’s a shame the Excellent Dizzy Collection never got released on the Mega Drive, I would’ve enjoyed playing them versions of Panic Dizzy and Dizzy the Adventurer. I’ve recently updated Yolkfolk.com with a huge collection of Dizzy game scans provided by The Dizzy Zone. If you have any time spare, do check them out.